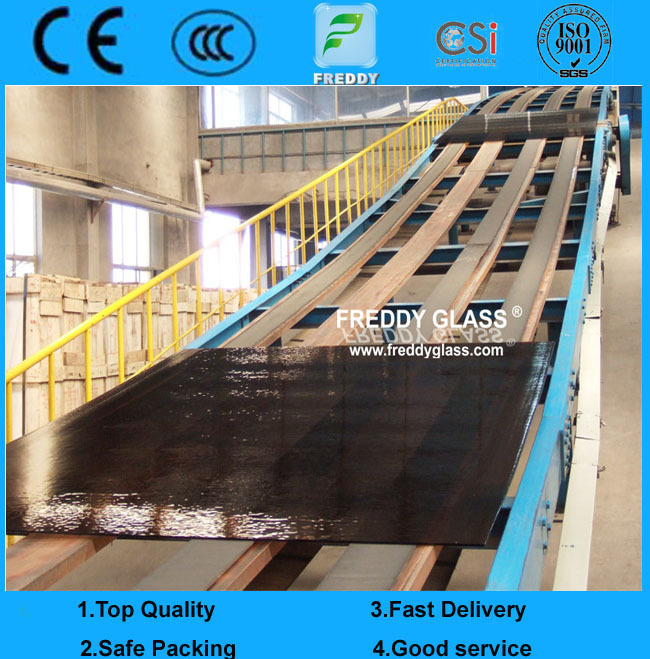 Colored Patterned glass is made by patterned rollers which roll over glass plates whilst they are still hot and moldable. It not only provides function of visual screen but also creates aesthetic senses of changing lights and shades. Numerous patterns are available to meet the needs of decorations. The pattern are able to soften the light in a space and, at a suitable angle, to curtain the visibility through it. 1. fully allow the light to pass through and on the other hand can limit or prevent clear view effectively. 2. Available in a wide variety of patterns, add perfect complement to many interior designs. 3. Heavy patterned glasses provide added strength and support and the patterns will never fade. 4. Can be cut, ground, drilled, tempered, laminated and printed, etc. All size could be produced according to the quatity. Furniture and show shelves Areas where visual screen is required, like bathroom, doors and windows.